"Thanks..." Robin muttered in response to Luna. Truth be told, she was hardly paying attention to the Swoobat. Even as Luna's words had rang clear in her mind, Robin was rather focused on Zack instead. It was true that what had happened was in the past now...but what if she could change it? But that was a silly thought...an impossible one. No one could truly rewrite time...right? Before Robin could give much thought to the crazy idea, Keith spoke up, snapping her attention away to him. "H-how did it happen?" The young trainer repeated, unsure if she had heard her friend correctly. "Umm..well....I told you how Zack...how he tried to kill me and Hazel with Project X...right?" Robin asked, her voice sounding somewhat shaky. It was clear that the Electric type specialist was uncomfortable with the subject at hand. "Well...when Telpo teleported us it...apparently he shielded us from...from Project X's attack. Apparently the attack was powerful enough to....well, I-I think you get the idea." "Something that snacks can't help with?!" Cayenne exclaimed, a look of shock on his face. "This is urgent then! Tessa, please fetch our guest a glass of water, and quick!" The Torchic added. "Umm..alright." Tessa nodded. Without another word, the Cosplay Pikachu rushed over to the teleport panel in the room, before disappearing entirely. With Tessa gone, Cayenne's attention returned to Millicent, a sudden idea having sprung into his mind. "Hello hello! Over here!" The Torchic exclaimed, hoping that the Timburr would be able to hear him as he drew closer to Keith and Millicent. "W-well that's good at least." Hazel stammered, his entire body seeming to relax, if only slightly. "You mentioned l-liking swimming though. M-my trainer he-I mean she. Umm..she has a pool here. M-maybe you could try it out?" The Jolteon suggested, hoping to move away from the topic of Corsola. In response to Voltaire's Energy Ball attack, Anion unleashed her most powerful attack, Gunk Shot! As the two moves clashed, Anion's proved to be superior, and Voltaire was unable to react in time as the poison move cut through the Energy Ball, before slamming directly into him! With a cry, the Emolga was sent tumbling backwards, before face planting on the rock floor. Slowly regaining his balance, Voltaire faced Anion once more, though with considerably less confidence. Despite the Emolga's earlier claims, battling was definitely something Voltaire wasn't a huge fan of. The Emolga almost always neglected his training...and it was starting to show! But he couldn't give up, not in front of Anion! Though the Minun might have powered through some of his dirtier tricks, Voltaire was still as determined as ever to win! Deciding to keep things simple this round, Voltaire leaped into the air, before gliding towards Anion with a powerful Quick Attack! Luna read Robin's thoughts sadly. The notion of turning back time in a desperate attempt to prevent tragedy, it struck a painfully familiar chord to the Swoobat. Robin was not the first person Luna knew to have such an idea. Five years ago, in fact, Luna's own Trainer had been desperate for a way to turn back the clock, to prevent the arrest and memory erasure of a certain special someone. Before Robin could give much consideration to such a thing, however, Keith had asked her how Telpo had died, and she told him how Telpo had shielded her from Project X's attack as he was Teleporting them away. This made the rest of the story fall into place for Keith. This explained how a Teleport went so horribly wrong as to land them in the world between this one and the spirit world. Keith nodded at Robin's words, unsure what even to say at this moment. "My condolences," he finally said in response, looking at Robin. As he looked, Keith realized that what he could say was not something more on this subject, but rather, the exact opposite. The shakiness of Robin's voice was not lost on Keith. The whole subject was not one Robin was comfortable talking about, and indeed, Keith saw little purpose in continuing to talk about this. He know that both he and Robin were sad about Telpo's passing, they didn't need to keep going on about it to prove this to each other. To change the subject, Keith figured, would not be disrespecting Telpo's memory. In fact, if anything, changing the subject would be likely to improve Robin's mood, something he figured that Telpo, who so determinedly prioritized his Trainer's happiness and well-being above all else, would rather appreciate. It was with this thought in mind that Keith spoke up again, hoping to lighten the atmosphere somewhat by steering the topic at hand away from something so distressing, hoping to maybe cheer up his friend a little. "So, where did you get Cayenne?" he asked Robin. "I never knew you had a Torchic before today, you catch him recently?" At Cayenne's words, Millicent slowly turned to look at the Torchic. She looked miserable, standing up once more, but leaning on Willow as though she were a walking stick. "...yes?" the Fighting-type said dejectedly. As she did this, Meowth put an arm around her shoulder consolingly. Aster started to relax a little as Hazel seemed to do likewise. Moreover, the Jolteon mentioned a swimming pool, which definitely caught the Mareanie's attention. "A-A pool?" repeated Aster. "Th-that sounds great, sure," she replied, slowly uncovering her face- now Hazel would see that she was smiling with a mixture of anticipation and relief, now that she was more certain she hadn't accidentally driven off a potential friend. Anion grinned- her Gunk Shot had blasted through the Energy Ball, and slammed right into Voltaire as well. 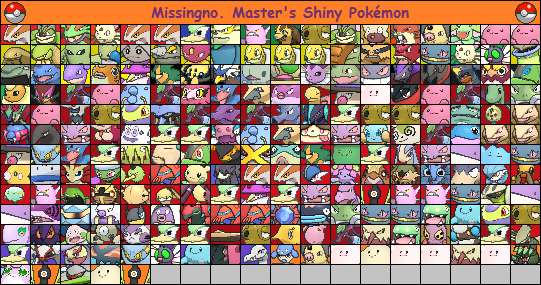 Type matchups really were a beautiful thing, weren't they, she thought to herself. She couldn't help but keep smiling as Voltaire picked himself back up- despite his visible lack of confidence, he wasn't letting this stop him, and that determination was what primarily brought a smile to the Minun's face right now. As if on cue, both Electric-types charged at each other, both of them using Quick Attack. Sometimes the simple tactics were the best. "T-thank you." Robin murmured in response to Keith's words. With little more to say on the subject, the young trainer diverted her attention to a nearby window. The storm that had started shortly before Keith's arrival showed no signs of slowing down. But how much longer could she stand to talk about Telpo? Luckily for Robin, she didn't have to find out. It seemed Keith was willing to change the subject, instead questioning if she had gotten her Torchic recently. "Y-Yeah, he's my newest addition to the team." Robin nodded, a small smile beginning to form on her face. "I actually got him the first day I arrived here. He was originally a gift from the mayor to an acquaintance of mine. But after Cayenne helped me chase off a Pokemon poacher, said acquaintance decided that Cayenne was better off with me." The Electric type specialist explained. "I'm grateful to have him though. He's been a big help in the....in the absence of some of my other Pokemon." "Hello! I'm Cayenne, it's a pleasure to meet you!" Cayenne chirped. "You seem kind of down...and I don't like that! We at Cayenne and Tessa's Kitchen Extraordinaire don't want Our guests leaving unhappy." The Torchic continued. "According to your trainers information box, it says that hugging a Torchic is a pleasant experience! So what I'm saying is...if it'll help cheer you up, feel free to try it!" "Ok...well it should be this way. I-I mean...it's the quickest way." Hazel said as he slowly approached the teleport panel in the corner of the room. "I-If we just step on this...we'll be taken to the bottom floor. It's way better then taking the stairs." The Jolteon explained, pointing to the odd panel with his nose. In response to Voltaire's quick attack, Anion unleashed a quick attack of her own. It seemed that the two were equally matched, and soon Voltaire found himself in the exact position he was in before. There had to be something he could do to overpower Anion, the Emolga thought. Racking his brain for answers, the only thing Voltaire could think of was his signature attack! Once again Voltaire began to wiggle his finger back and forth, summoning a move with his Metronome at random! Having selected a move, the sky squirrel Pokemon began to create an Ominous purple Wind, which quickly started to blow around the arena. As he saw Robin start to smile, Keith knew he'd made the right decision in steering the topic away from Telpo. Robin had in fact gotten Cayenne quite recently, received him from an acquaintance after the Torchic helped her fend off a Pokémon poacher. After this, however, she mentioned the absence of some of her other Pokémon. "Ah, yeah, so I'm guessing Pom's not the only one out there looking for you," nodded Keith. "Hey, Robin, if you ever want help looking for them, I'll be more than glad to help," he offered. The Torchic's perkiness was a stark contrast to Millicent's misery. Indeed, Cayenne pointed out said misery, and his desire to help out with it. Citing what Keith's Pokédex said about the Torchic species, Cayenne invited Millicent to give him a hug to try and cheer her up. "...I dunno if it'll help," sighed Millicent. "I just..."
Give it a try, Willow said to Millicent. You need some form of happiness and warmth right now, and a Torchic is hard to beat as far as either of those go, let alone both at once. Millicent relented at this, and put her arms around Cayenne, a few tears still leaking from her eyes, though it was not lost on her just how fluffy and warm this was. "O-Oh, it's a warp panel?" said Aster. "I-I've seen these things before. K-Keith ordered some for o-our new Secret Base." And she slowly made her way onto the warp panel. The Quick Attacks cancelled each other out- they were evenly matched. Anion grinned as Voltaire used Metronome again- there was no telling what to expect from that move, and it thrilled Anion every time she saw the Emolga wag his finger. And this time, an Ominous Wind was generated. Anion grunted as the Ghost move pummeled her, lamenting her current lack of movepool diversity. Keith planned to help her learn all sorts of moves, but for now, she had to sacrifice variety for the sake of power. And so, even with the Ominous Wind battering her so, Anion charged up yet another Gunk Shot and fired it Voltaire's way. "Y-you would do that?" Robin questioned, sounding genuinely surprised as Keith offered to help look for her old Pokemon. "Thank you. But I'm afraid it won't be much use." The young trainer added glumly. "You're right that Pom isn't the only one missing. I only woke up with Hazel, and finding Tessa and Voltaire was pure luck. That means....there's still around forty of them out somewhere in the world. They could be anywhere." Though Millicent seemed to be reluctant to try Cayenne's idea, the Timburr eventually relented. "See? That's the spirit!" Cayenne exclaimed as the Timburr wrapped her arms around him. With little else left to do, Cayenne simply waited for whenever Millicent was ready to pull away. Not that the Torchic was going to rush her of course. Following Aster onto the warp panel, the duo eventually found themselves in the corner of the kitchen. They appeared to be the only ones in the room, minus Tessa, who had just finished pouring some water into a small glass. "H-here we are, the kitchen." Hazel said, before walking over to the nearby exit. "If we follow this....we should be at the pool soon." In response to the ominous wind Voltaire had sent Anion's way, the Minun gathered up enough energy for another Gunk Shot, before firing it at the Emolga! In an attempt to avoid the powerful poison attack, Voltaire began another Quick Attack, hoping to loop around the oncoming attack and strike Anion. But despite his best efforts and increased speed, Voltaire found he was unable to fully dodge the attack. With a pained cry, the Emolga was sent flying as the Gunk Shot skimmed his side, canceling his attempted move all together! To make matters worse, Voltaire was now a sitting Ducklett! Now was Anion's big chance! "Of course I would," Keith nodded. He then shook his head as Robin voiced her opinion of how hopeless the situation was, even with help- she only had Hazel with her when she woke up, and she found Tessa and Voltaire by sheer dumb luck. The other forty-something Pokémon could be anywhere in the world. "Well, I still see no reason not to try at least," Keith stated. "At the very least I know Pom is in Fizzytopia, and that he knows where to go to come and visit. And believe me, he's got more reason to visit than he used to," he added. "He and Cyanide are actually parents now, and I've made it abundantly clear to Pom he's welcome to come visit his daughter whenever he wants. And as for the others... yeah, you're right, they could be anywhere, but that doesn't mean things are hopeless." I'll help, too, Luna piped up, telepathically addressing all nearby. I can try and contact Batrach, tell her to keep an eye out for any Pokémon that are searching for their Trainer. "Ooh, good idea," Keith nodded. "Batrach is this Unfezant I used to own," he explained to Robin. "I released her a while back, at her request. Her travels have already taken her as far as Unova from what I've heard. If your Pokémon could really be anywhere in the world, having her keep an eye out for them is a smart idea. And come to think of it, all we'd need to do is tell Hebenon that Hannah's gone missing, and he'll comb the entire ocean in search of her." Millicent continued to sob softly as she hugged Cayenne. Very slowly, her sobs started to slow down, the hug starting to soothe her a bit. She was still sad, and she still yearned to see Telpo again, but she was still starting to calm down a bit. "OK," Aster replied, following Hazel through the kitchen, walking on her ten tentacles, starting to feel a bit excited at the thought of a good swimming pool. Voltaire attempted to use Quick Attack to dodge the Gunk Shot, but was nevertheless grazed by the powerful Poison move. This, Anion realized, was an opportunity to strike, possibly the final attack of this battle, and she went for it almost immediately, racing in for one last Quick Attack. Robin's eyes widened considerably at the mention of Pom. Or rather, the fact that the long tail Pokemon was now a parent! She was about to speak up about it, but stopped herself as Keith continued to talk. Though it was true that, besides Pom, any of Robin's missing Pokemon could be anywhere, Keith insisted that it didn't mean things were hopeless. Luna also seemed willing to help, the Swoobat expressing that she'd try and get in contact with Batrach. Batrach was apparently an Unfezant that Keith used to own, and according to the man, Batrach had reached as far as Unova on her travels. But things didn't stop there. Keith also brought up his Qwilfish, Hebenon. Once the balloon Pokemon found out that his sister was missing, he would comb the entire ocean looking for her. "W-wow umm...thank you." Robin smiled. "I guess there is quite a few options to find them...maybe things aren't quite as hopeless as I first thought." The electric type specialist conceded. "But umm, sorry to change the subject...you mentioned Pom and Cyanide are parents now. How long ago did that happen? Just curious." Cayenne tried his best to remain calm as Millicent continued to hug him. The wait was already starting to kill him, but the Torchic continued his silence. He wouldn't want to disturb his guest, after all. With Aster following him, Hazel made his way down the hall and towards the pool. But just before the pair reached the doorway, a sudden thought sprung into Hazel's mind, causing the Jolteon to stop in his tracks. "I-I'm sorry...I just remembered...what you said early." Hazel murmured. "You said your trainer...he ordered warp panels for your new base.....w-what happened to your old one? I thought it looked ok..."
Seizing the opportunity to strike, Anion rushed in with yet another Quick Attack! Unable to respond in time, the only thing Voltaire could do was brace himself for the eventual impact! Once the Minun had crashed into him, Voltaire let out a final cry, before falling over in defeat! Robin seemed quite amazed at the mention that Pom was now a father, and she smiled at how willing Keith and his Pokémon were to help her find her other Pokémon. Keith smiled as well as Robin conceded that things weren't so hopeless after all. She then, however, asked Keith how long ago Pom and Cyanide became parents. "A little less than three months ago," Keith recalled. "Pom showed up at my Secret Base one day, in search of you. While he was there, he and Cyanide apparently discussed the idea, and, well, a few weeks later, their daughter was born. If you like, I could bring her here, let you meet her," Keith offered. After a while, Millicent became calmer still, and finally let go of Cayenne. Her eyes were still moist with tears, but she was no longer sobbing. "Thanks, Cayenne," she said. "I needed that. I really did." "O-oh, i-it got destroyed," replied Aster. "I-I was still very young when it happened. K-Keith's Ledian used to b-be a Shadow Pokémon, a-and used to want to take over the world. A-and he tried to do so, b-by making a su-superpowered Shadow Sky th-that he wanted to rain down on the wh-whole world. B-But Keith a-and some of his friends stopped him... but not before it destroyed h-his old Secret Base. W-We all got out OK beforehand, s-so nobody got hurt from that," she added. Anion landed the Quick Attack, and in doing so, ended the battle then and there. As the Minun caught her breath, she looked over at the fallen Emolga, and found herself smiling. Voltaire had put up a great fight, even managing to captivate her with that Fatal Attraction move for a while. Though even now that the move's effects had long since passed, Anion realized that she still wanted that Emolga. "Hey," Anion said, walking up to Voltaire, offering her hand to help him up. "Now that was a battle," she grinned. "It's been that long already..." Robin murmured once Keith mentioned how long Pom and Cyanide had been parents. Just under three months. This, along with Keith's explanation on how this had come to be, it seemed that the Ambipom had been awake for at least a month before his trainer. This wasn't too much of a surprise to the Electric type trainer. According to Tessa, the cosplay Pikachu had woken a few days prior to Robin and Hazel. And Voltaire had woken even earlier, sometime in the spring. But this only served to complicate the search for the other missing Pokemon. If the time of their awakening was totally random..then it stood to reason that some of them had yet to arrive. Or had she been the last to return? Robin wasn't quite sure, but she knew now wasn't the right time to think about it. Instead, she turned her attention back to Keith, giving him a smile. "Sure, I'd love to meet her." Robin said, giving a brief nod. "If you need to use a PC...there should be one...right there." She added, pointing to the computer tucked neatly into the top left corner of the room. "It was no problem!" Cayenne chirped, happy to see Millicent had calmed down a bit. A moment later, Tessa returned to Cayenne's side, carrying a glass of water with her forearms. "Umm...I..uh...got you some water." The cosplay Pikachu explained, before offering the glass to the Timburr in front of her. "Sorry I uh...took so long. I umm....kind of made a mess in the kitchen..." Tessa added, giving a nervous glance to the warp panel nearby. Hazel's expression visibly fell as Aster told her story. According to the Mareanie, Keith's old base had been destroyed by his Ledian, a former shadow Pokemon. Luckily no one had been hurt, and Keith along with some of his friends had managed to stop the Ledian. "Wow...I-I'm sorry to hear that." Hazel murmured, once Aster had finished. "It's kind of my fault though... M-me and...and a few of my friends tried to stop that Ledian...Stewie is his name..r-right? Well...me and m-my friends got stopped...b-by one of your teammates. Maybe if we hadn't been stopped..maybe you could still have your old base." Not long after he had fallen, Voltaire began to come to his senses. With a small smile, the Emolga took Anion's offered hand, managing to pull himself him with it. "I agree...the battle was definitely an exciting one." Voltaire nodded at the Minun's words. "But wow...pretty and powerful...you really are full of surprises." The news of how long Pom had been searching for his Trainer seemed to get Robin thinking about something. Not for very long, however- before Keith could even consider asking what Robin was thinking about, Robin stated that she'd love to meet Pom and Cyanide's daughter, even directing Keith to a nearby PC. "Thanks," grinned Keith, making his way over to said PC, and within minutes, he returned with a Premier Ball in hand. "Alright- Eon, come on out!" he exclaimed, tossing the white sphere into the air. The ball split open, and in a flash of light and a swirl of sapphire sparkles, the white-furred Eevee appeared. "Ooeee?" she squealed curiously, looking around at her unfamiliar surroundings. "Eon, this here is Robin," said Keith. "She's your dad's Trainer." At this, Eon's tail wagged happily, and the Shiny Eevee jumped up and started licking Robin's face. "Hi! Hi!" she eagerly greeted the Electric-type specialist. "You trained Dad? Dad's awesome, so that must mean you're awesome, too!" "Oh- thank you," Millicent said with a small smile, accepting the glass of water from Tessa. "No need to apologize, either- actually pretty good timing with it," she added before taking a sip. "O-oh, n-no, I-I don't think it's your fault," Aster responded. "I- you know Luna, th-the Swoobat in the other room, right? Sh-she says that what happened was gonna happen anyway no matter what. A-and s-some good things came out of it, too- Stewie's not evil anymore. A-and Keith's really excited about his new Secret Base, h-he says it's gonna be even better than his old one." Anion continued to smile at Voltaire, blushing just a bit at his words. She had previously stated that flirting wasn't something that worked with her, and she had meant it... insofar as flirting with her in an attempt to get her interested. By now, she was already plenty interested, and so Voltaire's words were definitely getting a reaction from her. "Heh... you're full of surprises yourself," smiled the Minun. "Definitely not just a handsome face." Meanwhile, whether she and Voltaire were still holding hands was entirely dependent on the Emolga, for Anion hadn't let go of Voltaire's hand yet, and would not have done so unless he did first. While learning of Pom's child had been quite the shock for Robin, the young trainer was about to receive yet another shock as Keith returned, carrying a Premier ball. Upon Keith tossing the special Pokéball into the air, an oddly coloured Eevee appeared, along with a shower of blue sparkles. Though she had never seen an Eevee like this before, Robin instantly recognized Eon as a shiny Pokémon. She had read that shiny Pokémon were incredibly rare...which made Pom's child all the more surprising. Once Keith introduced her to Eon, Robin gave the evolution Pokémon a small wave. But before she could say anything to the Eevee, Eon leaped up and started licking Robin's face. ''Ah! Stop that!'' Robin exclaimed. Despite her words, the Electric type specialist didn't seem to mind too much, and had even started to laugh a bit. The licking definitely reminded her of.....one of her other Pokémon. She couldn't quite remember which one it was though. ''I-I wouldn't say I'm awesome.'' Robin eventually replied to Eon. ''But I did train your dad...a-and he is pretty awesome, I agree.'' The young trainer added. ''Well I'm happy to hear that.'' Tessa said, giving Millicent a weak smile. ''Just umm...let me know if you..uh...need anything else.'' The Cosplay Pikachu added, bowing her head slightly. ''Speaking of! You should try one of the sandwiches!'' Cayenne exclaimed. ''It was always going to happen? L-like it was fated?'' Hazel questioned, a small frown on his face. ''W-wha-handsome?'' Voltaire questioned, completely flustered by Anion's words. Come on...get it together. Voltaire thought to himself. You just need to keep cool...you've got this...you've got this. ''So umm....w-what did you want to do now?'' The Emolga asked, doing his best to seem calm. Keith couldn't help but smile and chuckle as Robin reacted to Eon's affectionate greeting. Eventually, Robin responded to whatever Eon had said- clearly, Keith figured, Eon had said something about her dad being awesome, and Robin being awesome as well. "But it takes an awesome Trainer to train an awesome Pokémon, doesn't it?" Eon questioned. "And- wait," she added, her eyes widening as she realized something else. "You can understand what I say? Oh, wow!" Her tail was wagging quite fast now. "That's so cool! Can you understand other Pokémon languages, or just Eevee? Because Keith can speak Shuppet and Banette, and can understand Gastly, Haunter, Gengar, and Seviper language, but that's it." Millicent nodded back. "Thank you," she said to Tessa. I thank you as well, Willow added. At that moment, Cayenne spoke up, suggesting that the Timburr try one of the sandwiches. "Um... alright, sure," Millicent nodded. She wasn't especially hungry at the moment, but considering how much the Torchic had just helped her feel better, she supposed this was the least she could do. She took a sandwich and bit into it. "Mmm," she remarked as she chewed- it really was pretty good. Once she swallowed her first bite, she gave a small smile. "Thanks," she said to Cayenne. "This is good." "I-I asked Luna the same thing," murmured Aster. "She told me- s-some things are fated to happen, l-like what St-Stewie did, b-but not everything. Sh-she says that it's n-not worth worrying about wh-what's out of our control, and f-focus on what we're able to control." Anion found it irresistibly cute how flustered Voltaire was by the Minun's words. The Emolga then asked her what she wanted to do now. At the mention of a pool, Anion gave a small shudder- Minun as a species hated getting wet- but she smiled as Voltaire suggested grabbing a bite to eat. "Something to eat sounds great," she smiled. Eon seemed rather amazed at the fact that Robin could understand her. With her tail wagging quickly, the Eevee questioned if the Electric type specialist could understand more then just Eevee. "Yeah, I can understand all Pokémon languages, as far as I know." Robin replied, giving Eon a small smile. "It's a long story on how that happened though. L-let's just say an old friend of mine gifted the ability to me." The young trainer added, hoping that her explanation would sate the shiny Eevee's curiosity. "It was..uh..nothing really." Tessa replied, blushing slightly as both Millicent and Willow thanked her. Only after, did the Cosplay Pikachu realize that none of the Pokémon among her had given her the second thanks. Tessa was about to question it, when the image of the kitchen flashed into her mind. "Well I umm...better clean up the kitchen. Uh..bye!" Tessa said, giving Millicent and Cayenne a wave, before rushing towards the nearby warp panel. Cayenne barely even noticed Tessa's departure, his attention glued to Millicent as the Timburr took a bite of a sandwich. "You really like it? That's awesome!" Cayenne exclaimed, upon hearing Millicent's words. "I haven't made this before, so I was really unsure of how it would turn out!" The Torchic added, trying his best not to slur his speech. Despite Aster's explanation on what Luna had said, Hazel looked just as worried as he had before. "Not worth worrying over?" The Jolteon questioned. "I-I'm not so sure I can just stop. I mean....e-even if we can change some things...if it all leads to the same place anyway....what's the point?" "Perfect." Voltaire smiled, happy to see Anion agree to his suggestion of eating. "One of my teammates, she makes some really good food." The Emolga explained. "I'm not sure quite what she's making for everyone, but knowing her, I'd say we're in for a real treat." Voltaire added as he slowly began to guide the Minun out of the battle room, and towards the kitchen. "Wow! That's so cool!" Eon exclaimed as Robin explained she could understand all Pokémon languages as far as she knew. "Hey, hey, Robin- how about a battle?" she asked excitedly. "I wanna see how well I do against one of Dad's teammates!" "Yeah, it really is good," Millicent said in response to Cayenne's enthusiasm. She was still sad, her heart still ached for Telpo, but the Torchic's boundless energy and enthusiasm (not to mention the warm hug) helped her to cheer up at least somewhat, and so she was able to show a small smile between bites of sandwich. Aster wasn't sure what to say to Hazel following his questioning the point of changing some things if the end result was the same anyway. But then, the Shiny Mareanie (for this took place prior to her evolution into Toxapex) was spared having to think of a response by one of her teammates flying on the scene. You're thinking about this the wrong way, Hazel, Luna said telepathically as she landed in front of the Jolteon. It doesn't always lead to the same place. Sometimes it does, but that's not always the case. The incident with Stewie was the exception, not the rule. Even little decisions can have a bigger impact than you could imagine. I change the future all the time. I've foreseen bad things that I was able to prevent, and I've foreseen great things that never would've happened unless I interfered and helped make them happen. The point is, if you do your best to be the best you can be, you can change more than you think you can. You can have a positive impact on people and Pokémon around you, change their lives for the better. "A real treat, huh? Then what the hell are we waiting for?" grinned Anion as Voltaire started to lead the way. Despite that question, she seemed to be in no real hurry, perfectly content to move at the same pace as Voltaire. "A battle?" Robin repeated, sounding quite surprised at Eon's request. "Umm...sure. I'd be ok with it." The young trainer replied after a moment. "T-that is...if you're also ok with it." She added, her attention now on Keith. "Glad to hear it!" Cayenne chirped. "If you need anything else, just let me know!" The Torchic added. While Aster was unsure how to respond to Hazel, she didn't have to, thanks to the arrival of Luna. According to the Swoobat, Hazel was thinking about things the wrong way. Apparently events like the one with Stewie were an exception, not the rule. Even little things could leave a big impact, and Luna was able to change the future all the time. "I..umm...thanks for the explanation." Hazel said, once Luna had finished. "I-it...kind of hurts my brain though. H-how does an event become fated a-anyway? Do you know?" The Jolteon questioned. Would what happened at Catalyst tower...would it have been able to prevented? Or were all those people and Pokemon bound to die? The thought flashed into Hazel's mind, causing him to frown as he awaited Luna's answer. Voltaire grinned in response to Anion's words, but said nothing as he continued down the hall and into the kitchen. What greeted them was...shocking to say the least. The floor was covered with shards of glass, so many that Voltaire had to wonder how such a mess had come about. In the center of the mess was Tessa, holding a tiny broom and dustpan. "Tessa, what happened here?" Voltaire asked, genuinely confused. "Eep!" The cosplay Pikachu cried, sending the glass she had collected on the dustpan flying back on the floor. "Oh..it's you Voltaire....sorry." Tessa apologized, upon noticing the Emolga. "No worries." The sky squirrel Pokemon replied, before remembering the Minun beside him. "Oh! Umm...Anion, this is Tessa, the one I told you about earlier. Tessa, this is Anion." "H-hi. It's uh....nice to umm...nice to meet you." Tessa said, her face flushed red as she gave the Minun a small wave. Keith was already grinning as soon as Meowth had translated Eon's eager request for a battle, so his answer was not hard to guess. "I'm always OK with a battle," he replied to Robin. "Is there a good place for a battle in here?" Millicent nodded in response as she chewed another bite of sandwich. She'll be sure to let you know, Willow said to Cayenne. You've been a very big help to Millicent- thank you very much, she added gratefully. Luna shook her head. I'm afraid I don't know how such things are decided, she replied. Nor do I know whether the events at Catalyst Tower were preventable, she added after hearing the Jolteon's thoughts. I'm afraid I never had any sort of premonitions about that. I wish I had more answers. I do tend to know more than most about this sort of thing, but still not even close to everything, she added apologetically. Anion was thoroughly enjoying this walk, and for a while, her attention was on Voltaire and Voltaire alone... until they reached the kitchen. "...Whoa!" Anion exclaimed, upon seeing the insane quantities of glass shards littering the floor. And in the center of it all, a Cosplay Pikachu holding a broom and dustpan that made her look quite unprepared to tackle this mess. Voltaire introduced Anion and Tessa to each other following this. "Hiya, Tessa," grinned Anion, waving back. "But daaaamn, what happened in here? Is this what happens when a Crystal Onix uses Stealth Rock or something?" "Of course there is." Robin replied, her eyes lighting up slightly. "I always wanted a battle arena in my old base...but I never could with all the restrictions in place. The rules are a lot more lax here, s-so I made it one of my priorites to build a room dedicated to battles." "Huh? Who's talking?" Cayenne questioned, glancing around the room as Willow spoke to him. "Oh, I've got! You're enjoying the sandwich so much that you've managed to learn telepathy!" The Torchic exclaimed, his eyes widening considerably. "You've gotta teach me how to do that after! Please! Please!" Though Luna tended to know more about this then others, even the Swoobat was no where close to understanding it all. "T-there's no need to apologize." Hazel said, once Luna had explained this to him. The Jolteon was a little freaked out that the Swoobat knew what he had been thinking, but decided it would be best to leave it be for now. "Oh! I-I just realized." Hazel murmured, his attention now on Aster. "I was going to show you the pool...but then I dragged you into this. I-I'm sorry. I didn't mean to." "A Crystal Onix? Umm..no not quite." Tessa murmured, her face still bright red as Anion asked what happened. "You see...I uhh...I was grabbing a glass of water. One for umm...one of our guests. But I dropped it. So I...I had to grab another. But I dropped that too." The Cosplay Pikachu explained. "It just kept going....until I made all this mess. I'm such a klutz sometimes." "Oh...I see. That does sound like something you would do." Voltaire said, before letting out a small chuckle. "If need help cleaning that up though...I can lend a hand. I'm sure Anion would be willing to as well." The Emolga added, glancing in the Minun's direction. "Yeah, I know what you mean," Keith nodded. "I mean, you saw I was able to get around that well enough with my old place, but you should see my new Secret Base- it's way bigger and way better, up to and including an amazing battle room. That's cool that you can have a battle room now, too," he smiled. "Just lead the way." "Ooeee!" squealed Eon, also ready to follow. Willow chuckled at Cayenne's entirely wrong conclusion while Millicent swallowed her bite of sandwich. "I can't do telepathy. That wasn't me," she replied. "That was Willow." She indicated her log as she spoke. Luna nodded with a reassuring smile. Then, Hazel turned back to the Shiny Mareanie, remembering that they had been going to the pool, and apologizing for getting them sidetracked. "O-oh, it's, it's alright," Aster responded. "Um... c-can we still go to the pool?" she asked. "Wow," Anion remarked as Tessa explained how numerous instances of clumsiness on her part had culminated in a mess of such epic proportions. She chuckled along with Voltaire- it seemed as though this sort of thing wasn't out of the ordinary at all for the Cosplay Pikachu. Then, as Voltaire mentioned that he'd be willing to help clean up, the Minun nodded as well. "Yeah, don't see why not," agreed Anion. "We do this together, it'll get done quicker, yeah?" "Right. It's just this way." Robin smiled, before rising from her seat. The girl then began to walk towards the nearby staircase, but stopped suddenly as if she had just remembered something. "Oops, I almost forgot. I-I guess I need a Pokemon to battle with, huh?" Robin asked aloud, her eyes scanning the room for a particular Pokemon. After a moment, her eyes locked onto the fire type, who seemed to be busy talking to Millicent. "I'm sorry, I'll just be a moment." The young woman said, already making her way over to the Torchic. "Huh? What do you mean?" Cayenne asked, clearly confused as Millicent explained that it had been Willow talking to him. "You mean that log was talking to me? But how? Unless...is this some kind of special, talking log?" The Torchic continued, eyeing Millicent's log with a mixture of interest and confusion. "O-of course we can." Hazel replied, sounding somewhat surprised at Aster's question. "U-unless you don't want to anymore. I u-understand if you don't." "Really? Umm...thank you Anion, that uhh...means a lot to me." Tessa replied. "Oh, and you too Voltaire! I'm umm...I'm sorry. I forgot you were there for a moment." The cosplay Pikachu added a moment later. "Are you ok Tessa? You're about as red as a tamato berry." Voltaire asked, ignoring Tessa's last comment. "W-what? I'm umm...I don't k-know what you're talking about." Tessa stammered, her eyes unable to meet the Emolga's, or Anion's for that matter. "Anyway..if you umm...want to help, there's a closet by uhh...the stairs. It should have some brooms in it." Robin made to lead the way to the battle room, when she stopped suddenly. As it turned out, she nearly forgot a fairly important component of a Pokémon battle- the Pokémon. Keith nodded as Robin stated she would just be a moment. In a way, I suppose, Willow responded to Cayenne's question as to whether she was some sort of special, talking log. I am a ghost- I've been living in Millicent's log for many years now. It's very comfortable for me, as I was a Grass-type when I was alive. "N-no, I do still want to," Aster reassured Hazel. "I w-wouldn't have asked if I didn't want to." Anion nodded, noting as she did just how red Tessa was turning throughout this conversation, as though she was insanely embarrassed. Then again, the Minun reasoned, they did just hear about her absurdly repetitive acts of clumsiness and witnessed the spectacular mess that came about as a result. "...Yeah, let's get those brooms," she finally said to Voltaire, deciding against trying to further embarrass the Cosplay Pikachu. She turned and started off towards the closet Tessa had indicated. "I'm actually talking to a ghost. That's so cool!" Cayenne exclaimed in response to Willow's explanation. But before the Torchic could raise even a single question to Willow, Robin happened to walk over. "Hey Cayenne. I was wondering if...if you wanted to battle one of Keith's Pokemon? I think you'd really enjoy it." "One of the guests wants to battle?" Cayenne repeated, already bouncing up and down at the thought. "Of course! Of course! I'll take any chance to improve myself!" The Torchic exclaimed, all while he continued to bounce around. Only when the Fire type remembered Millicent and Willow, did he stop and face them. "Did you want to come watch the battle? I'm sure it'll be a blast!" "I....I was just making sure." Hazel replied, before continuing down the hall and toward the pool. The Jolteon had originally considered inviting Luna along, though he quickly realized that the courting Pokemon probably wasn't into the idea of swimming nearly as much as Aster and him. Following Anion, Voltaire soon passed the Minun as they made their way to the hall closet. After a few moments, the Emolga spotted the closet, who's door had been left wide open. "Here we are." Voltaire said as he reached the door, only to find the entire closet had been trashed. It seemed that Tessa's clumsiness had claimed another victim. Despite the total mess the Cosplay Pikachu had made of the closet, it didn't take too long for Voltaire to find two brooms of an appropriate size. Attached to each of them was a dustpan of their own. "There you are." The Emolga said, passing one of the brooms off to Anion. "Now, let's get back there before Tessa makes anymore of a mess, yeah?" Willow found herself quite amused by Cayenne's excitement at talking to a ghost, but before anyone could say anything further, Robin approached, asking if the Torchic would enjoy a battle against one of Keith's Pokémon. This got Millicent's attention- she'd seen Keith send out Eon before, and she wondered if she was gonna get to see the Shiny Eevee in action again. She gave a small smile as Cayenne asked if they wanted to come see the battle. "Sure," nodded the Timburr. Count me in as well, Willow chimed in. Aster followed Hazel toward the pool. Luna simply flew off. She felt no offense at not having been invited along- Hazel's instincts were quite right, the Swoobat was about as fond of swimming as the average Minun. "Alright, let's -whoa," Anion remarked, upon seeing just how much of a disaster the closet was. Evidently, Tessa had been in here at least once before. Despite this, however, Voltaire was able to extricate a pair of appropriately-sized brooms from within the horrible mess, and the Emolga handed one to Anion, suggesting they get back before Tessa made even more of a mess. Anion smiled and gave a small chuckle as she took the broom. "Sounds like a plan," she agreed. "Perfect!" Cayenne exclaimed, before turning to his trainer. "I guess we're all set then. Lead the way!" The Torchic chirped. "Right." Robin nodded, before walking off, back in Keith's direction. "Sorry about that, w-we should be all ready now." Robin apologized, once she had returned to where her friend was. "Oh wow! I've never seen a Pokemon like you before." Cayenne said as he noticed Eon. "You're practically sparkling! How did you manage to do that? Can all of your species do that, or just you?" Continuing down the hall, Hazel eventually reached the entrance to the pool room. Luckily for Aster and him, the door had been left wide open, allowing them to pass right through. Upon entering the massive room, Hazel turned to Aster, a small grin on his face. "Maybe a bit too big. I-I'm the only one who really comes here. Tessa and Cayenne hate swimming..and Voltaire is indifferent to it at best." Hurrying back to the kitchen, it wasn't long before Voltaire and Anion returned to the horrible mess of glass. "Oh, you're umm....you're back." Tessa said, looking rather relieved. "I thought for a moment...that you'd uh...left me to clean the mess up." "I wouldn't do that, and I'm sure Anion wouldn't either." Voltaire replied, before shaking his head slightly. "R-right." Tessa murmured, before looking around the room. "We should probably uhh...get to work on this then. Voltaire, you should take this side. And Anion..I umm...you should uhh...probably take that side." The cosplay Pikachu said, pointing to the bottom left of the glass pile, and then to the bottom right. Eon grinned as Cayenne marveled at her white fur and how she sparkled. "I'm a Shiny," she said proudly. "Definitely not all of my kind can do this- only the ones with white fur like me. 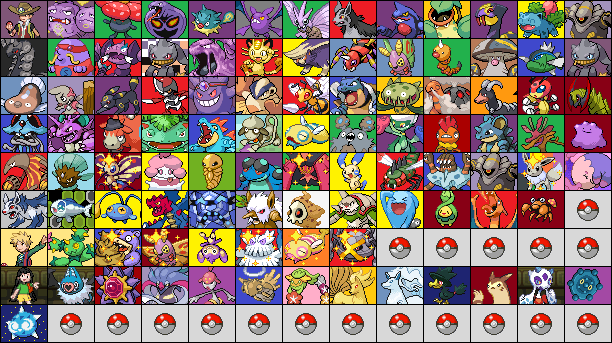 And Shiny versions of other Pokémon, too. You saw Aster earlier, right? Mareanie aren't normally pink- she's Shiny, too." "Cool," Keith grinned as Robin returned. "Me and Eon are ready, too." Aster's eyes widened with wonder at the huge pool room. It looked somewhere close to how big the pool at Keith's base was going to end up being, but to see such a pool filled with water right now, the Shiny Mareanie was loving it. "Oh, wow!" she said softly. Then she looked at Hazel, who explained he was the only one who actually swam here. "W-well, maybe Robin'll catch some Water-types," said Aster. "K-Keith has some that I swim with sometimes- a Qwilfish, a Feraligatr, a Blastoise, a Chinchou, a Basculin, a Wishiwashi, a Binacle..." This was, of course, not only prior to Aster's evolution into Toxapex, but also prior to Elliott's evolution into Barbaracle. "Come on, Hazel, let's swim!" Aster added, smiling back before using her tentacles to make her way over to the pool, and then jump in, giggling happily as she went into the water. Anion was surprised at how Tessa worried that they could've abandoned her. "What?!" she said. She nodded in agreement with Voltaire. "He's right, that'd just be mean," agreed the Minun. "Let's get this done, yeah?" And with that, she headed to the bottom right side of the glass pile and got to work sweeping it up. "That's amazing!" Cayenne exclaimed, his eyes filled with wonder as Eon explained the concept of shiny Pokemon to him. "I wonder what a shiny Torchic looks like? Maybe I can become a shiny one day! All I would need is some paint and glitter, yeah?" Once Keith had confirmed that both he and Eon were ready to go, Robin flashed her friend a small smile, before turning to the stairs. "Alright. J-just follow me." The girl said, before making her way to the stairs. Once she had arrived there, she took a moment to glance behind her, making sure that everyone was following. After Aster had entered the pool, it wasn't long before Hazel joined her. Before it had started raining, the Jolteon had been looking forward to a nice swim in the nearby ocean. While the chlorinated water wasn't quite the same as the salty water off Sunabā Beach's shore, it was enough to help the Electric type feel somewhat refreshed. "Oh. My trainer..she already has a few Water types." Hazel explained as he paddled over to the Mareanie. "T-they're all kind of missing though. But I'm sure they'd r-really enjoy this when they come back. Especially Blues. H-he used to love to swim in the lake by our old base." With their roles assigned, each Electric type began to sweep up the glass shards scattered sround the floor, hoping to make the kitchen somewhat presentable. It had only been a few moments since she had started cleaning up, but Tessa soon found herself approaching Anion, a worried look on her face. "Uhh..I'm sorry to interrupt. I umm...just wanted to ask you something." The cosplay Pikachu began. "If I did I umm...wanted to apologize."